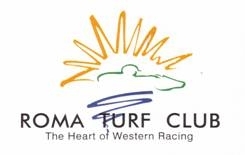 There is a great variety of attractions and events in and around Roma. 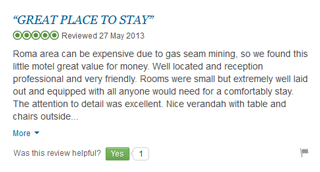 Feel free to call us for more information or chat to us when you’re here. 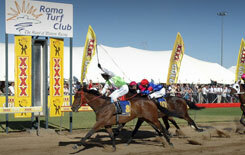 The Roma Picnics Races are famous for more than just country horse racing. 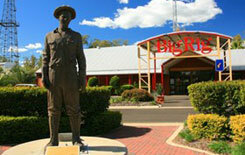 The event has been a part of Queensland’s largest and fastest growing industry- being tourism. 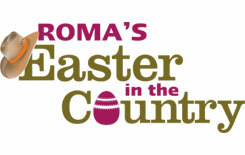 Roma’s Easter in the Country festival goes for five days and celebrates all things country. It’s recognized as one of South West Queensland’s premier Easter events, and offers a range of activities for all walks of life. 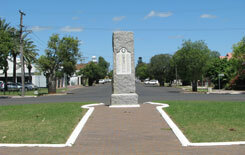 The Avenue of Heroes is heritage-listed and starts on the corner Station and Wyndham Streets. It is a touching tribute to the fallen soldiers from the Roma District and features over 100 bottle trees. More information and a fact sheet is available from the Visitor’s Information Centre in town 07 4622 8676. 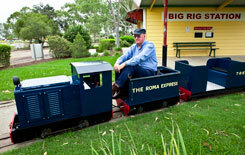 Tour around the perimeter of the Big Rig and crossing over a World War 2 Bailey Bridge on the Roma Express mini train. For operation times and further information contact the Roma Visitor Information Centre on 07 4622 8676. For more ideas just ask us at the front desk when you check in at the Bottle Tree Gardens Motel.